The Absorba Inside Entrance Mat by Apache Mills holds up to 1 1/2 gallons of water per square yard! 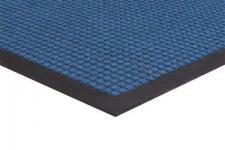 Raised reinforced rubber dam border helps trap moisture, dirt and debris keeping it contained within the mat, off the floor. 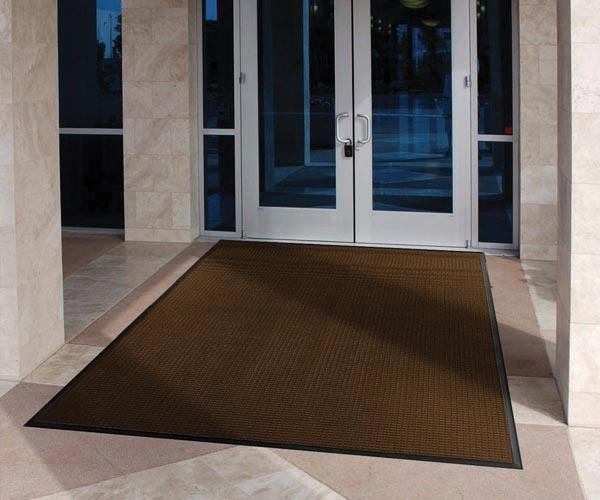 Reinforced rubber raised squares to prevent pile from crushing, improving wearability of this absorbent door mat. Grippers on underside of mat to minimize movement. All weather construction polypropylene matting! Classic scraping pattern molded to a rubber backing. The face nubs provide outstanding wiping and scraping performance, and allow soil and water to be trapped beneath shoe level. 100% polypropylene needlepunch carpet resists fading and staining. 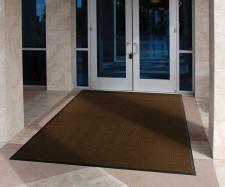 Apache Mills floor mats are ideal for heavy Traffic. NOTE: Many of these sizes have to be made to order and the lead time is approximately 14 business days. If your order is time sensitive, please feel free to call 1-800-810-7847 or email service@commercialmatsandrubber.com to see if your size is in stock. Thank you! •Rubber reinforced raised molded pattern scrapes dirt as well as moisture, keeping water below shoe level. •Long lasting SBR Rubber backing and border keeps moisture in the mat and away from indoor flooring. •Polypropylene carpet won't fade and dries quickly. High-traffic indoor or outdoor entries. �Carpet Type: 26 Oz. per square yard needle-punched polypropylene.